As a creative writing student at UC Santa Cruz in the early 90s, when I needed to write a story I’d trek across campus over wooden bridges suspended among the age-old redwood trees, down windy paths (avoiding banana slugs), and up to the computer lab. I’d insert a 3.5-inch floppy into the Macintosh SE, make my edits, then listen to the words rip across the dot matrix printer. I’d then carry the pages to the writing workshop where teachers and fellow students would scribble their edits and comments, generally with a red pen. Then it was back to the lab for another re-write. Despite the fact that nearly every student has a computer these days – saving countless trips to the central computer lab – the way student teams worked together didn’t really become much more efficient, collaborative and fun until UCSC first moved to Google Apps for students in March 2010. And now, starting this week, faculty and staff are also adopting Google Apps so it will be even easier to draft and share work, provide input and incorporate feedback in realtime. Having a common platform for communication and collaboration for all members of the UCSC community means everyone’s literally on the same page. Many other schools have also recently migrated to Google Apps for their staff and faculty community including Wake Forest University, Barnard College, George Washington University, ESSEC Business School, San Jose State University and many more. If you’re interested in a deeper look at how staff and faculty at schools like these are using Apps to do things such as build ePortfolios in Sites and track committee minutes in Docs, register here to join our upcoming webinar on Wednesday December 7th at 10am PST. And in the meantime check out our whitepaper to read more about common questions and concerns we’ve heard from schools migrating their faculty and staff communities. Editors note: This is the final post in a series that explores the top ten reasons why customers trust Google with their business data. A complete top ten list can be found here. It’s important for all businesses regardless of size or industry to assess the risk of potential data breaches and take steps to prevent them, especially in the area of information technology. The use of laptops, smartphones, tablets and other mobile devices is increasing as users demand anytime, anywhere access to email and documents. This can increase the risk of a data breach if you’re using traditional applications which store a local copy of the data on the device and the device gets lost or stolen. Google Apps can help reduce the risk of a data breach by limiting the data that is stored on your devices. When you check email or work on a document in a browser with Google Apps, the data is stored in our data centers, not on your device. That means that if your device gets lost or stolen, there is lower overall risk of a data breach. Similarly, if you collaborate with others in Google Docs, you don’t need to send them a copy of the document. You can enable and disable access to the document with a simple set of sharing controls and your collaborators access it from their browser. 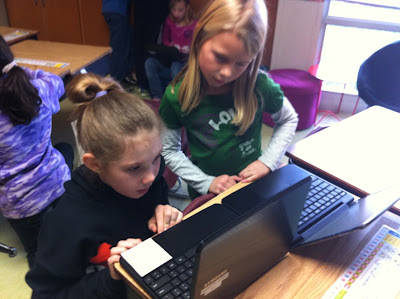 The document does not need to be stored locally on their device for them to collaborate on it. For those times when you want to access Google Apps but you don’t have an Internet connection, we recently released an offline capability for Gmail and for Google Docs. The offline capability does involve some local data storage on devices. The amount of stored data is likely to be smaller as only a limited amount of documents and email are synchronized to the device for offline access. If you decide that this local data storage poses a risk, you can easily disable offline access. For additional security and data protection information, including a video tour of a Google data center, you can visit our Google Apps security page. Michael J. Franklin, Professor of Computer Science at UC Berkeley, remarked that BigQuery (internally known as Dremel) leverages “thousands of machines to process data at a scale that is simply jaw-dropping given the current state of the art.” We’re looking forward to helping businesses innovate faster by harnessing their own large data sets. BigQuery is available free of charge for now, and we’ll let customers know at least 30 days before the free period ends. We’re bringing on a new batch of pilot customers, so let us know if your business wants to test-drive BigQuery Service. 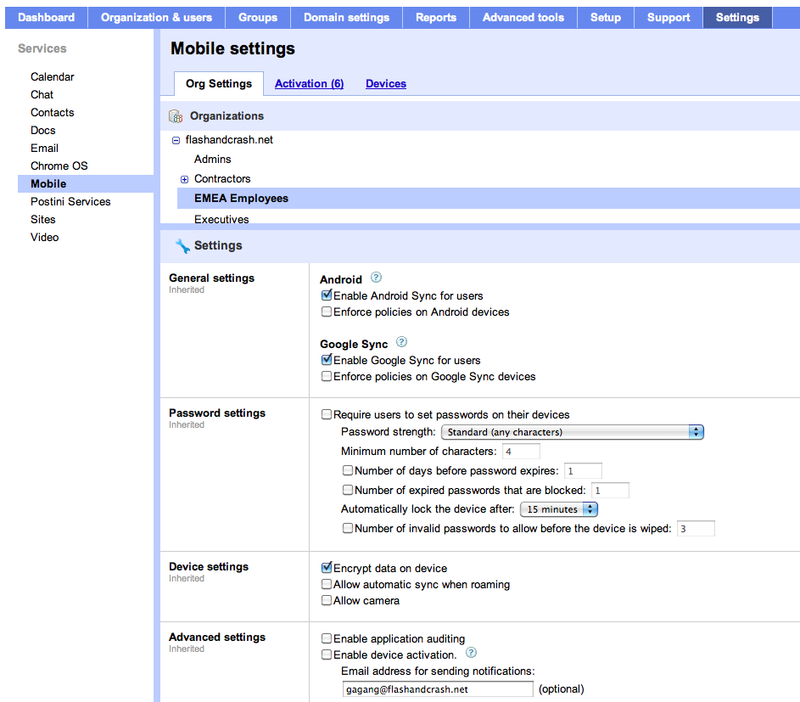 Finally, we’re also updating the Google Apps Device Policy app for Android. The new version provides users with more transparency about information available to administrators, and includes support for Android 4.0, Ice Cream Sandwich. These new mobile management features will roll out for customers using the Next Generation Release version of the control panel starting today, and will be coming to the Current Release version in a matter of weeks. We invite you to explore our help center for more details. Since we launched Google Apps for Business in 2007, we’ve been working hard to build a global support offering that’s responsive to the needs of our business customers. In the early days, our customers reached us mainly through email, and our 24 x 7 phone support was limited to critical issues. To improve the experience of our customers, we now provide 24 x 7 phone support to small, medium, and large Google Apps for Business customers for all issues affecting the core services. Our customers may also receive support through our web-based support portal, online help forms, and online help center. All support cases are handled directly by trained Google Apps experts. One of our core values is delivering products that just work for our customers, so in addition to serving customers directly, our support team provides our product and engineering teams with input regarding the usability and quality of our products. This effort has led to SLA and uptime improvements, as well as enhancements such as unthreaded email and read receipts in Gmail, and a scheduled release process. To all our Google Apps for Business customers, thank you for your feedback. We take your input very seriously, so please continue to let us know how we’re doing. If you need help, please don’t hesitate to contact Google Apps for Business support. From large Government departments through to small local realty companies, geographic information can be extremely valuable to organizations. However, this useful information often ends up trapped in files or databases, inaccessible to the average employee or user. Many organizations make use of a geospatial tool that presents information in a geographical context. Behind the scenes, it can be an expensive process to get to this stage because the data needs to be found and “geocoded.” Geocoding is the process of examining a piece of information containing geographic references and adding information about the map coordinates within the document. Once geocoded, a piece of data is available to be shown in a geospatial tool. To put it simply, it is the connection made between address information and map coordinates. This is often a manual process which can be expensive and time consuming. For us, automating the search and geocoding process was the next logical step, so we developed a tool called GeoFind, which enables an end-user to easily find geospatially relevant data and show it on a map. GeoFind offers an on-the-fly geocoder combined with the Google Search Appliance (GSA) to locate and present information through Google Earth or Maps. The GSA can connect to multiple large document stores and securely crawl all of the content. GeoFind uses the GSA to process a search query and sends the results to the geocoding engine to look for geographic clues, such as addresses, city references, or landmarks. 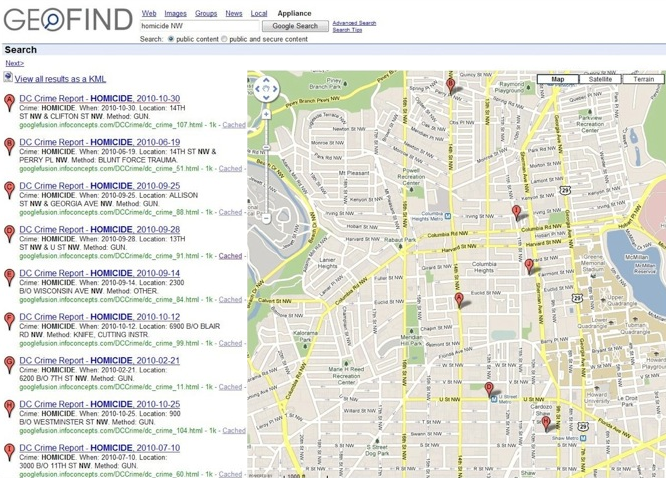 After it identifies the clue, GeoFind displays the search results via the Google Earth Globe or to Google Maps. This is all done automatically without an administrator having to do manual data processing. For example: Imagine a police department wanting to make police reports accessible to the public on a map. The traditional approach would be to individually read and geocode the reports. Using GeoFind, it isn’t necessary to perform this expensive and time consuming data preparation. 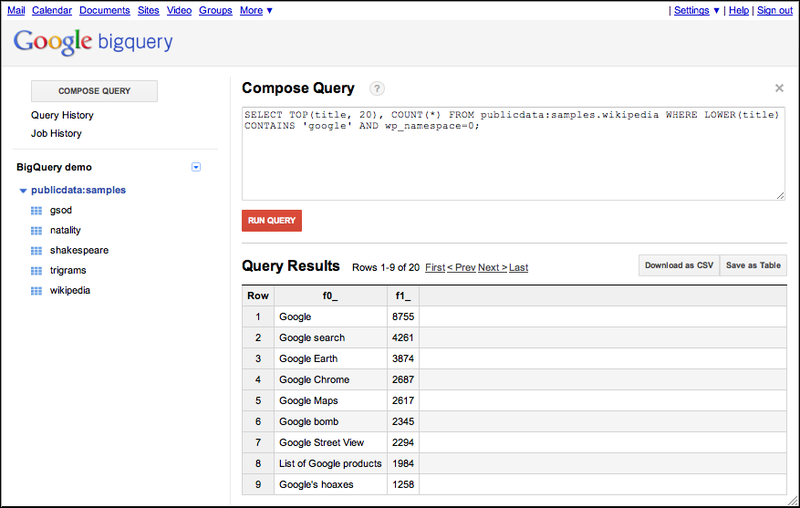 Instead, they can point their Google Search Appliance at the reports and have them immediately displayed on the map. You can find out more about GeoFind at ReperioConcepts.com or contact me. What’s the first thing you do when you wake up in the morning? Maybe check the news on your tablet, then send a couple of emails on your smartphone before jumping on a video call with a colleague. It’s all happening on the web, it’s changing the way we think about work, and it’s creating new opportunities for businesses of all shapes and sizes. While this isn’t new, you’ve heard us talk about this before, we’re experiencing a fundamental shift in how businesses use the web to drive collaboration, innovation and growth. The role of the IT leader in business has never been more critical, and we can’t wait to welcome more than 350 CIOs from around the world to our annual cloud event: Atmosphere 2011, next Monday, November 14. Representing the vision for this year’s speaker lineup are Steven Johnson, Jonathan Zittrain, and Vint Cerf, as well as CIOs from Ahold, Journal Communications, IHG and the state of Wyoming. Everyone’s welcome to join us online as we’ll be sharing this event with our colleagues around the world, live. We’ll be broadcasting the event on YouTube from 0900 PST, 11/14 and posting news from the event on our new Google Enterprise page on Google+. We look forward to seeing you in the cloud. One of the most rewarding aspects of my job is meeting with customers and learning how they’re using our products to change the way they work on the web. In this spirit, today I’m excited to introduce our official Google Enterprise page on Google+, the latest way for us to stay connected. By adding +Google Enterprise to your Google+ circles, you’ll be able to read about our latest product features, hear directly from some of our customers, and share your thoughts with the community. We’re really looking forward to hearing what you have to say. To join the conversation, mention +Google Enterprise in your post, or comment directly on our page. Haven’t had a chance to turn on Google+ for your account yet? With last month’s announcement of Google+ for Apps, you can now enable Google+ for your organization. Editors note: Over the last couple of years some of the world’s biggest and most prominent media organisations have moved to Google Apps. The Guardian, The Telegraph and News International in the UK, Agencia EFE in Spain, Berlingske and Borsen in Denmark, and many others. The latest is Trinity Mirror, and today’s guest blogger, Steve Walker, IT Director and Google Apps Product Manager at Trinity Mirror, has told us why. Trinity Mirror Group publishes many leading UK titles including Daily Mirror, Sunday Mirror, People, Daily Record and Scottish Sunday Mail, as well as 240 regional newspapers. We’re a company spread across 60 different locations and we recently decided to move all of our 6,500 employees to Google Apps. This decision was driven by a real desire to improve collaboration, innovation and to enhance productivity within the group. Google Apps was evaluated as a product suite that could help us do just that. The move to Google Apps will free people from mundane daily administrative tasks, such as managing busy inboxes, merging document changes or keeping track of the latest versions of documents and sending around numerous attachments. It will be easier and quicker to schedule meetings, coordinate work and search to find the information they need. For the many journalists in the business who work on tight deadlines and need to find the latest and most relevant information at the drop of a hat, this should prove invaluable. Those employees that need to keep in touch with their email from outside the office will now be able to check their inboxes via their mobile devices or even their home laptops. One of the triggers to consider Google Apps was the fact that our staff was already using the consumer version of Gmail and Google Calendar to help them work more efficiently. We expect the real-time, collaborative features of Google Apps to will enable us to make some real changes to the way we work, leading to a more productive workforce and helping us to become more profitable and innovative. The migration to Google Apps will be finalized this month, and at the same time we’re planning to release a new intranet built in Google Sites. We’ll fully deploy Google Docs and Sites early next year. We anticipate this move will help our employees become more creative and innovative across the organisation and, in turn, will allow the IT department to focus on other business critical and strategic projects. 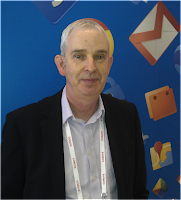 Today’s guest blogger is Darrell Benatar, founder and CEO of UserTesting. UserTesting provides fast and inexpensive website usability testing by giving website owners on-demand access to a large panel of users who will record their screen and voice as they use a specified website. See what other organizations that have gone Google have to say. Everyone talks about how important usability testing is, but 99% of website owners have never done it. We started UserTesting three years ago to make it so fast and easy that no one would have an excuse not to do it. Traditional usability testing involves recruiting users, hiring a moderator, and renting a facility where users perform website tasks while being videotaped. Big companies can afford all this, but most small ones can’t. So at UserTesting, we assembled a nationwide base of articulate users who are available on-demand and who can quickly deliver valuable information and results. We’ve seen amazing growth since 2008, and I consider Google’s technology an integral part of that success. We now have 15 employees, four of whom work offsite. IM, voice, and video chat, which are built right into Gmail, allow us to easily bridge that physical gap. 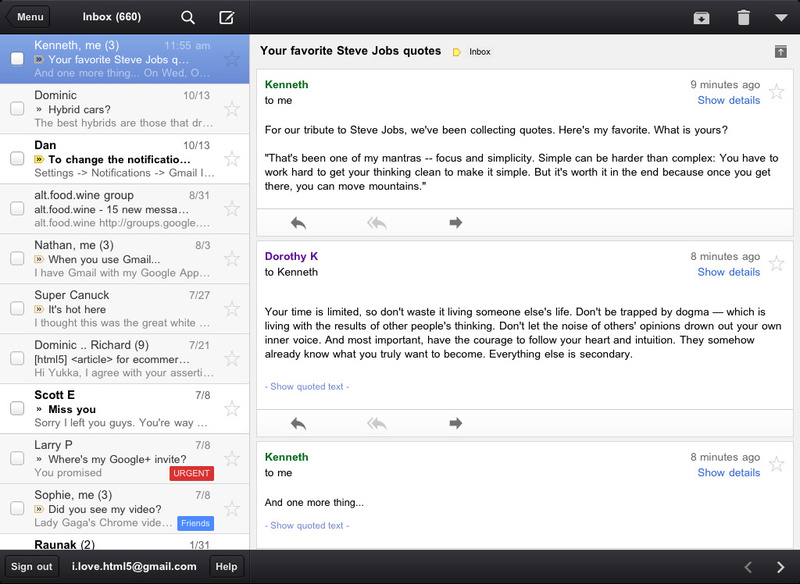 I was an early adopter of Gmail and saw right away the benefits of cloud-based communication. Throughout our business, we’ve made use of many of the other parts of Google Apps as well, including Google Docs and Google Tasks, which is also built into Gmail. Our intranet runs on Google Sites, and it allows us to embed Google Docs and Google Calendar items right into pages. Having everyone interact on a task spreadsheet streamlines the process and allows managers to keep track of projects. We even make use of canned responses to address standard emails from customers with questions. And now, we are actively using Google+ to share what’s going on in our office with each other. I feel strongly that any business would benefit from cloud-based productivity tools. Since start-ups are inherently open to new ideas and don’t have to deal with legacy issues, it makes sense to hit the ground running with solutions that just make your business work and don’t require an IT department. Why Google Apps? Because I have confidence that Google will keep adding more and more features that will keep making our lives easier. Editor’s note: Today’s guest blogger is Darrell Benatar, founder and CEO of UserTesting. UserTesting provides fast and inexpensive website usability testing by giving website owners on-demand access to a large panel of users who will record their screen and voice as they use a specified website. See what other organizations that have gone Google have to say. Apparently it’s not enough for The University of Texas at Austin to give its alumni degrees anymore; now, the University’s 450,000 graduates (and 50,000+ current students) are also getting free email addresses for life. As a Longhorn alum and member of the Texas Exes, I’m thrilled to have the privilege of announcing that my alma mater is now offering Google Apps for Education. Driven by the desire for better communication and collaboration capabilities, the student body petitioned for an upgraded email system. The university used the state-mandated procurement process to make its selection as it assembled a task force consisting of representatives from across campus to evaluate possible vendor solutions. After thorough review by two subcommittees, we’re proud that Google emerged as the top choice. The University of Texas at Austin joins more than 15 million other students, faculty and staff who are part of the Google Apps for Education family. We’re thrilled to work with the Longhorns to make their launch a big success. And I personally can’t wait to start using my alumni account. Editors note: Today’s guest blogger is Joe Kraus, the Chief Information Officer of the United States Holocaust Memorial Museum, which opened in 1993 as a result of legislation unanimously passed by the U.S. Congress. The Museum’s employees went live with Google Apps for Government this Tuesday. A living memorial to the Holocaust, the United States Holocaust Memorial Museum inspires citizens and leaders worldwide to confront hatred, prevent genocide and promote human dignity. Federal support guarantees the Museum’s permanent place on the National Mall, and its far-reaching educational programs and global impact are made possible by the generosity of donors nationwide. To fulfill this mission, the Museum employs technologies that promote online collaboration for its teaching programs and uses crowdsourcing to expand and make more accessible its collections relating to Holocaust survivors and victims. Our migration to Google Apps will enable closer collaboration with teachers, universities and institutions that are engaged in teaching the lessons of the Holocaust, preventing genocide and conducting research on Holocaust history. This week, the Museum launched Google Apps for Government for our 500 staff and support personnel. We chose Google Apps because of its ease of use and extensive collaboration and sharing capabilities. Our educators in Holocaust programs will use Google Docs to support online development of lesson plans. Our researchers and scholars will use Google Apps to develop their material on Holocaust history and the lessons learned. The general public, youth groups and teachers will be able to easily register for our many programs using Google Forms. Our staff will use Google Sites to collaborate on the multitude of cross- departmental programs and projects that we run each year to advance Holocaust understanding. Our transition to Google went very well. We conducted a three-month pilot with staff from across the Museum followed by a three-month transition period. Our final switchover was done overnight on October 31. The transition required a rigorous communications and training program, with about 70% of our staff participating in classroom and webinar training led by our project integrator, Onix Networking. One of the key aspects that enabled our smooth transition was the identification of “Google Guides,” people from across the Museum who volunteered to help their colleagues with the new Google Apps environment. Now that we are in the cloud we will be able to take full advantage of a dynamic ecosystem of new functionality that continues to provide our employees new and innovative ways of doing the important work of the Museum with very little additional support required from my IT team. The Museum's Google Guides mark Tuesday’s switchover. 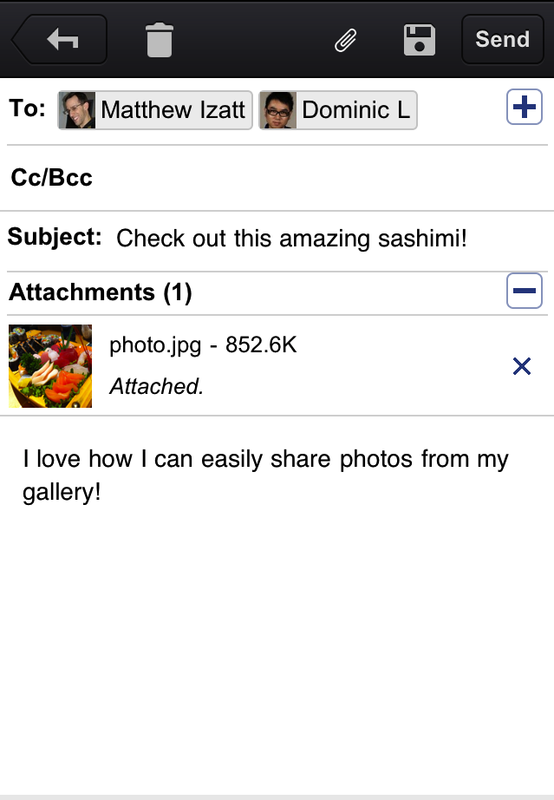 Update: 11/16/11 On 11/2 we launched a new Gmail app for iOS but after finding a bug removed the app from the App Store. 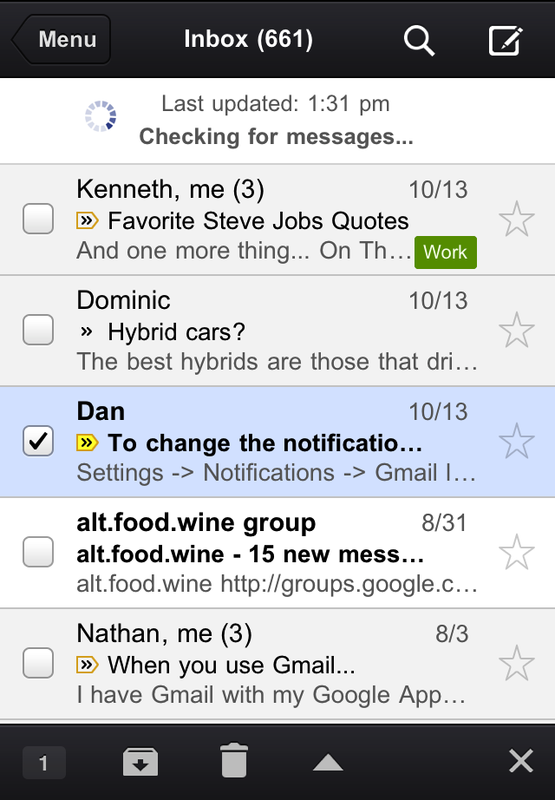 Starting today, the Gmail app is now available again. Waiting. Walking. Watching TV. Working out. Winding down. Waking up. We check email pretty much everywhere these days. And when we do, we want easy access to our important messages so we can respond quickly and get back to life -- or slinging birds at thieving green pigs. 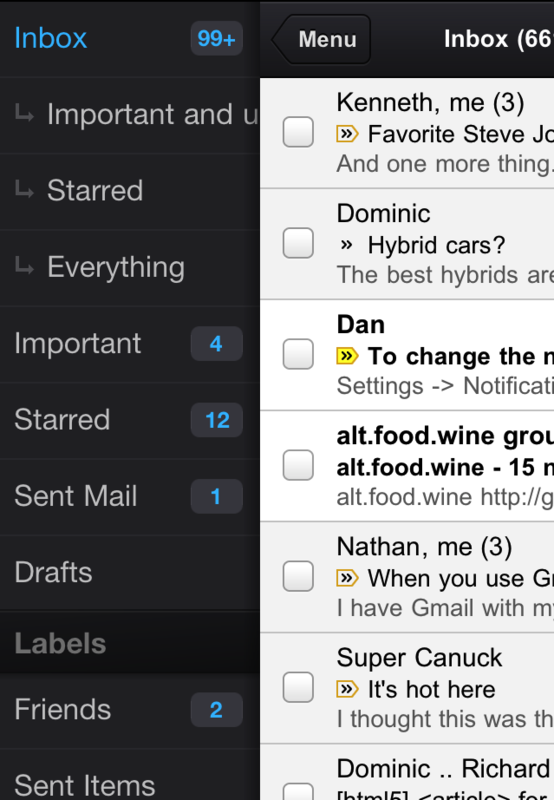 We hope the Gmail app makes checking email on the go a little easier. It is available in the App Store today and works on all devices running iOS 4+. For more information, check out our help center.